Alfred Wegener Institute for Polar and Marine Research, Research Unit Potsdam, Potsdam, Germany. 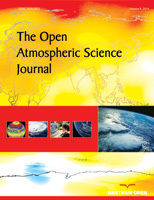 Stratospheric ozone is an important factor impacting on climate dynamics and thus on atmospheric variability. Aiming to develop a better general understanding of chemistry-dynamics feedbacks, we applied a coupled atmosphereocean- sea ice general circulation model (AOGCM) with interactive chemistry, extending up to 80 km. With this model, ECHO-GiSP, two 150-year climate simulations were performed in order to enable us to focus on coupling mechanisms between stratospheric ozone chemistry and dynamical processes on interannual to decadal scales. Our results from these simulations indicate significant circulation changes in the tropo- and stratosphere due to interactive stratospheric ozone feedbacks, which were enabled in the ‘interactive run’ compared to the ‘reference run’. We discuss the decadal variability within the runs by analysing the Arctic Oscillation (AO) mode. In particular, the tropospheric variability within the interactive simulation, which tends to the negative AO phase, appears to be enhanced, while the stratospheric/mesospheric variability weakens.